“One to listen to with a glass of fine wine” is how a recent review of Irene Rae’s music was recently described. 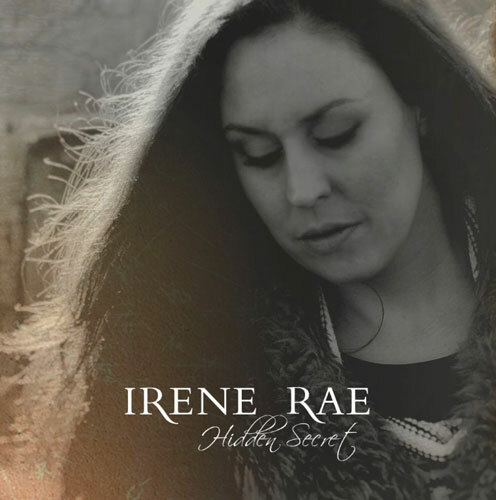 ‘Hidden Secret’ is clearly a labour of love from the Lincolnshire born singer to be savoured with or without wine though. I tried it with a glass of fine whiskey and it sounded equally as good! Actually, Irene Rae isn’t quite a ‘new kid on the block’. She already has one full CD under her belt – ‘End of nothing, Beginning of something’ from 2009. I can’t speak of it’s quality musically, but it will have a hard job competing with the new one for production and musicianship. What else would you expect though with the super talented Roger Inniss (Laurence Jones/Blues Caravan) and Stuart Dixon (Dani & Will Wilde, Eddie Floyd) on board? It took a few plays to get used to the idea that Inniss and Dixon are involved on this disc too because it sounds very much like a cool jazz combo is backing the lady here. From Roger’s double bass and the tinkly piano intro to ‘Star’ courtesy of Greg Coulson this recording glistens with Class and that’s with a capital ‘C’. There’s some subtle cello too from Beth Porter to add melancholy. I especially like her contribution to ‘Broken Girl’ . The piano on ‘See Me For Me’ sounds like something from Kate Bush and that’s also got to be a big positive. On a slightly negative side, although perfectly played, the songs here very often don’t quite take off to my ears, rather like Kate’s ‘Wuthering Heights’ would sound without the soaring “Heathcliff, it’s me Cathy. Come home. I’m so cold!” bit that ratchets up the dynamics. Some seemingly older pictures on Rae’s website, and a recommendation from ‘Punkglobe’ magazine suggest there is, or was, a wilder side to this lady’s music that would make a nice juxtaposition to the silky material here. All in all this is clearly a disc that has had a lot of work put into it by talented people. More than that, it’s had a lot of emotion put into it – something not to be taken for granted these days in a CD. There are tracks here like ‘See me for me’ and ‘Broken Girl’ that Rae is featured on the internet singing more than five years ago. My guess is that she’s been holding on to them waiting for quality musicians who could do them justice. With Inniss, and Coulson playing and Dixon producing she has undoubtedly found the right men for that job. The songs on this EP aren’t going to make her a pop superstar. But they could prove to be around a lot longer than the next ‘Voice of Britain’ will be. Critically speaking, The tempo and mood never really change, and it’s only when her voice is stretched to it’s limits on ‘Mercury’ that there’s a real hint of drama and tension. the style presented is limited, on this offering at least, but ultimately what Irene Rae does, she does very well indeed. 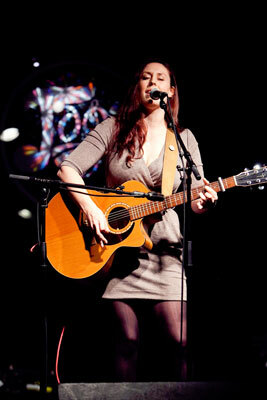 There is an awful lot of competition in the Jazz/Folk/Rock female vocalist area these days. Just take a listen to ‘Britain’s got Talent’ or ‘Deutschland Sucht Den Superstar’ if you dare. The ones to survive are the ones who can offer something different. Irene Rae has a lot of talent, knows a lot of talented people and can write beautifully articulated downtempo Jazz ballads. A good choice of a cover song or two, with perhaps songs from others that have a different tempo, would make her own compositions all the more effective and maybe the sky, as they say, is the limit. Meantime, there’s nothing wrong with a mellow EP to sip wine or whiskey too. If the thought appeals to you, check out some song excerpts HERE until the disc is officially released later in the Summer.